Dealer News – The Bunch Blog! Desert racing seems to now be the industry standard for proving the capability of an off-road oriented pickup truck. Both Ford and Toyota have taken their full-size trucks, the F-150 Raptor and Tundra TRD Pro, down to Baja to show their skills. Now Chevroletfollows in their footsteps with the Colorado ZR2. 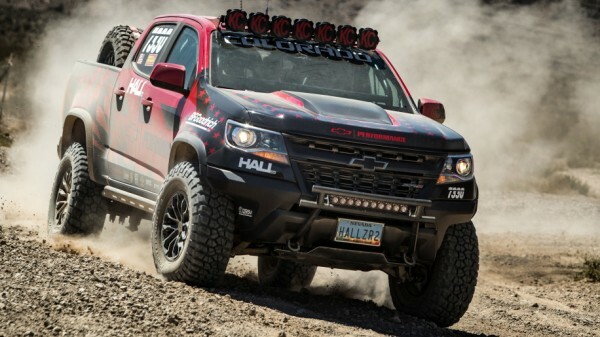 Hall Racing has built a Colorado ZR2 to race in the Best in the Desert Vegas to Reno race. It’s not Baja, but it is the longest desert race in the United States at 550 miles. This Colorado ZR2 isn’t much different from a stock model either, which is great from a marketing position, and necessary to run in the 7300 class at the race. The class is specifically for stock trucks and SUVs. There are some modifications, but they’re mostly related to safety and long-distance driving. The interior sees the addition of a roll cage, racing seats, racing harnesses, radios and a GPS system. Outside, off-road lights, spare tires and a 44-gallon fuel tank are the only major changes. Otherwise, it features the stock V6 engine, eight-speed automatic, front and rear locking differentials, and even stock wheels. It also features Multimatic spool valve shocks, just like the stock model, but Chevy says they’ve been tweaked in some unnamed way. Chevy also says that there are some parts on here being tested that might be offered in the Chevrolet Performance catalog in the future. 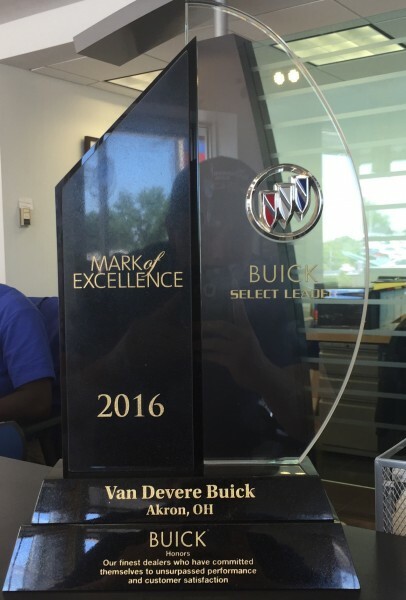 VanDevere Buick has been awarded the “Mark Of Excellence Award” for 2016. Shopping for a used car in the Akron area? Visit www.VanDevere.com to shop Akron’s largest selection of new and used vehicles.